Station Inn in Dodworth has a beer garden. The pub has an outside area, it shows live comedy. Station Inn has a dart board. The pub has DJ's, it has karaoke. Station Inn has live music events. The pub has a pool table, it has a big screen. Station Inn shows football on TV. The pub has Sky Sports, it has terrestrial TV. 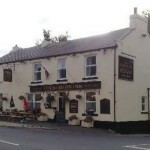 Travellers Inn in Dodworth has an outside area. Dodworth Rec Social & Bowling Club in Dodworth has a beer garden. The pub has a function room that can be booked, it has an outside area. Dodworth Rec Social & Bowling Club has a dart board. The pub has DJ's, it has karaoke. 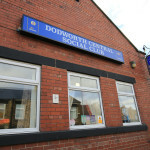 Dodworth Rec Social & Bowling Club holds Poker Nights. The pub has a pool table, it has a big screen. Dodworth Rec Social & Bowling Club shows football on TV. The pub has Sky Sports, it has terrestrial TV. 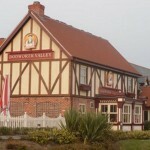 Brooklands Hotel in Dodworth has accommodation. The pub has a beer garden, it has a function room that can be booked. Brooklands Hotel has an outside area. The pub has DJ's, it has karaoke. Thornely Arms in Dodworth has a beer garden. The pub has a car park, it has disabled facilities. Thornely Arms gives a warm welcome to dogs and their owners. The pub is a family friendly pub, it serves real ale. Thornely Arms has a dart board. The pub has a pool table, it is a member of Cask Marque. Toby Carvery in Dodworth has a beer garden. The pub has a car park, it has disabled facilities. Toby Carvery is a family friendly pub. The pub serves food, it has an outside area. Toby Carvery serves real ale. The pub has free WiFi, it is a member of Cask Marque. Gilroyd Social Club in Dodworth has a function room that can be booked. The pub has an outside area, it has a dart board. Gilroyd Social Club has DJ's. The pub has karaoke, it has live music events. Gilroyd Social Club has a pool table. Tom Treddlehoyle in Old Town has a beer garden. The pub has a car park, it is a family friendly pub. Tom Treddlehoyle has an outside area. The pub has a smoking area, it has a dart board. Tom Treddlehoyle has a pool table. The pub shows football on TV, it has terrestrial TV. 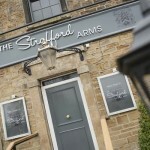 With its decadent decor, well stocked bar of ales, spirits and wines, seasonal menu and attentive staff, The Strafford Arms offers the full package. Red Lion in Silkstone shows football on TV. The pub has Sky Sports, it has terrestrial TV. Bells Steakhouse in Silkstone serves food. Station Inn in Silkstone Common has a beer garden. The pub has a car park, it serves food. Station Inn serves real ale. The pub is a member of Cask Marque. 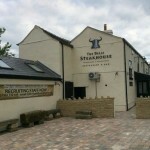 New Inn in Barnsley has an outside area. 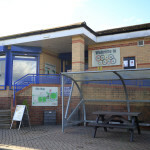 Shaw Lane Sports Club in Barnsley is one of the finest sporting and banqueting venues in Yorkshire. Situated on the edge of the town centre in an 18 acre oasis of greenery, Shaw Lane is the perfect venue for any occasion. Barugh Green Working Mans Club & Institute in Barugh Green has a beer garden. The pub has a function room that can be booked, it has an outside area. Barugh Green Working Mans Club & Institute has a dart board. The pub has DJ's, it has karaoke. Barugh Green Working Mans Club & Institute has live music events. The pub has a pool table.